I'm crossing my fingers I did it right. 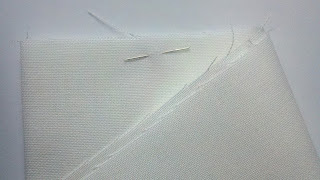 I will say, the instructions were spectacular for all of the specialty stitches...if they weren't, I probably would have given up with that lazy daisy stitch! I woke up this morning and checked my email...and much to my delight, I was RAK'd by Lesley! She is such a complete sweetheart! 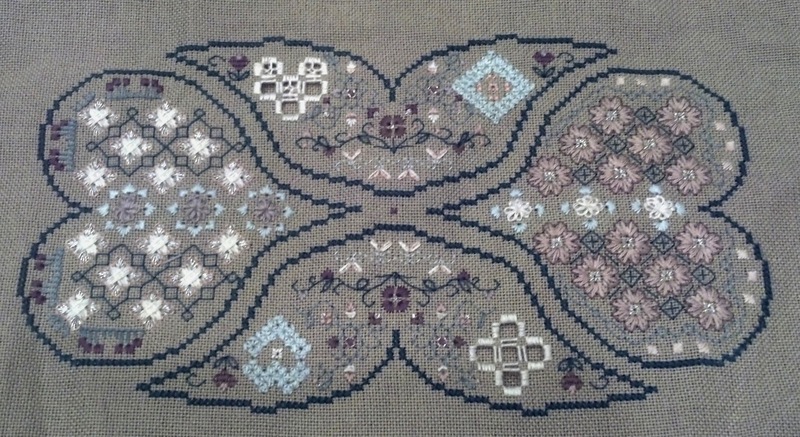 Yiota of Yiota's XStitch offered one of her beautiful cross stitch kits for me to review. I chose Exotic Flower by William Morris because of the beautiful colors. It comes neatly packaged with a color image of the final piece. 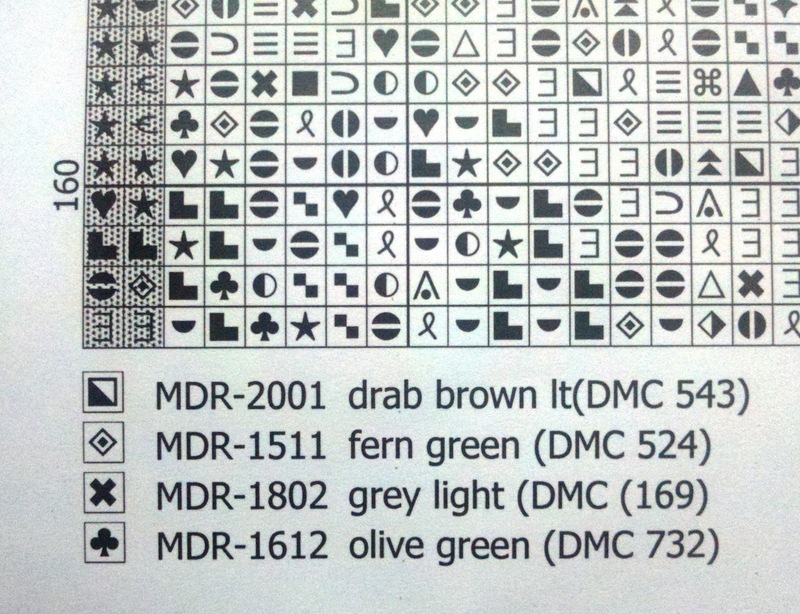 The symbols are easy to make out and the floss key gives you both the label # as well as a DMC # if you want to use DMC or use the chart for future use. 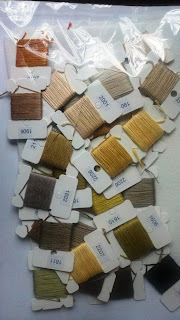 I want one of my blog readers to give Yiota's charts a try too, so I'm giving away a Gift Voucher to her site for £20.00! You can use it to buy a kit or some charts! This giveaway ends at midnight EST on Friday, June 15th! Winner will be chosen the next day by Random Generator and the Gift Voucher will be mailed. Great work! Around the world in stitches rocks. Bluebell woods No 2 is my fav, I enjoyed reading your review and your 80 Sts is fantastic. Great review. Lovely progress on Around the world. It looks gorgeous. Love your new chart - are you going to start it soon? Ho my ! Your world is gorgeous ! 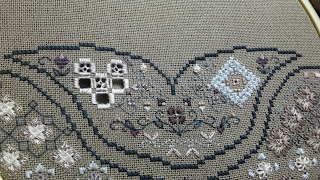 Nia made me discovered Yiota"s Xstitch some weeks ago, it's really difficult to make a choice among all those wonderful designs ! I'd love to enter please . I really like the wolf kits that Yiota has on the site. I love your Papillon SAL parts 1&2 Lesli. 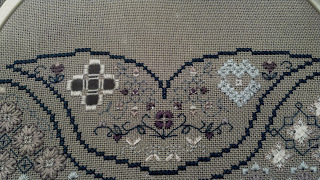 The colours are really lovely and the hardanger is brilliant :)I am still finishing my second tulip! Exotic flower is very pretty and so beautifully presented. Looking forward to seeing your progress on it. 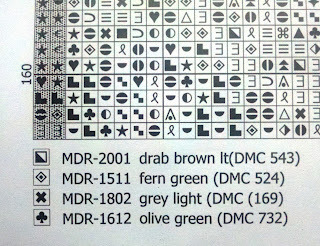 I quite like the cat designs especially 'cats eyes'. I would love to be entered. I love the dragon designs in her fantasy section. Oooh I love your around the world what a neat piece and a fun way to expand your stitching knowledge! I have just become a follower. I love this giveaway. I live The Coffee Fairy pattern. Your World design is looking stunning. I'd love to enter. I love Pegasus and Butterfly Fairy. Thank you for a great giveaway. I follow via email now. 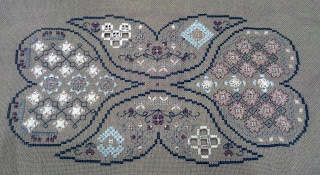 I have been over and looked at lots of cross stitch charts and particularly like the Mackintosh designs and the William Morris designs. 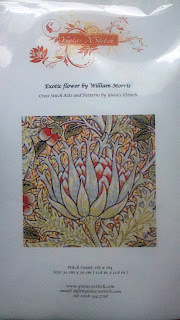 I had William Morris wedding invitations so it would be nice to do something of his. Love your Papillon Sal!! Wow The colours you chose are perfect together!! 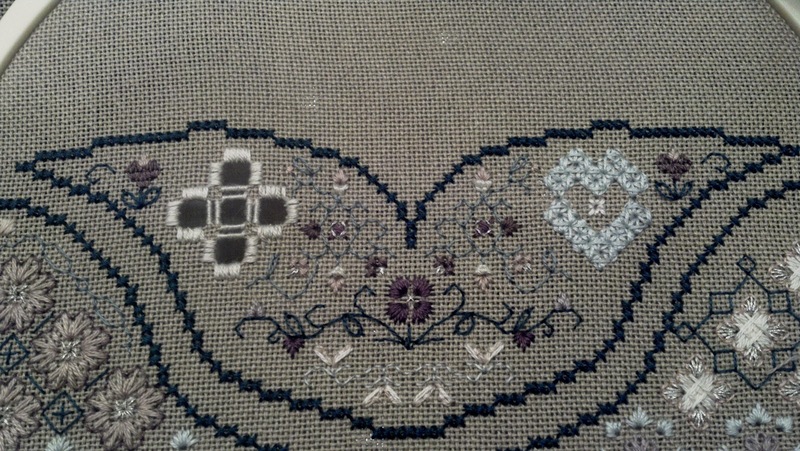 I have never tried HARDanger because it's probably sooo hard!! Shoot I missed the giveaway. Oh well, congrats to the winner! And lovely chart you chose from Yiota too!! i have ever done hard anger so congrats to you as i wouldn't dare start something like that, and lucky you on the lovely haed! Around the World is so beautiful! The colors you picked work fantastically well! 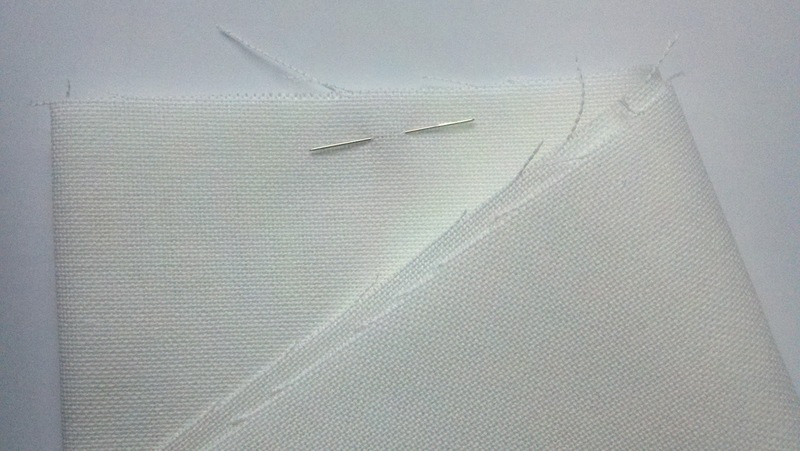 beautiful stitching on your world!